Time in New Orleans can be a whirlwind, partly because its such a party city (well, at least it can be if you choose to make it so... and, well...we have.) Give New Orleans an excuse to celebrate and they will. But my favorite place in town is a little nondescript building that you'd otherwise never notice, hidden away in Uptown - Domilese's, or as my friend Kevin who grew up going there calls it - "Miss Dot's." 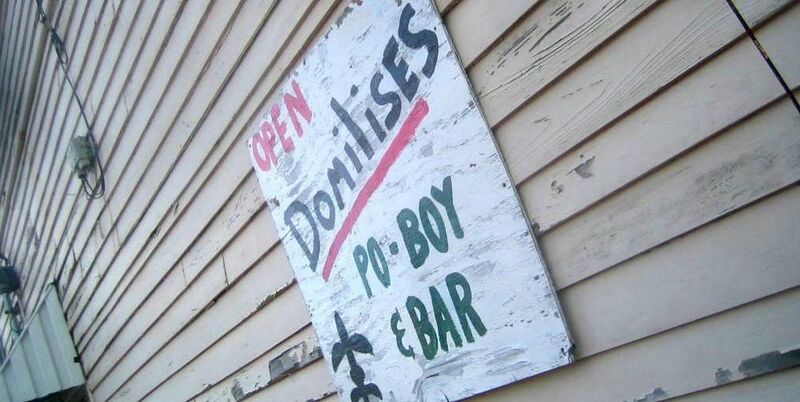 They're the best po'boys I've ever had, but that place and people make it even better. Check out my link below for last years post on it, not much changes here, which is the best part of it. Beyond that, its just been a couple days of wandering in the quarter and nearby, a few drinks here and there (ahem), hanging with friends and making new ones. As I said to a guy last night, its really hard not to have a good time in New Orleans. And if you don't, its your own fault.